Have the regulations for the CanAm Proxy been finalised ? No point in building something that doesn't conform! A change of mind on my entry if the series goes ahead. I discovered the Wolverine LD65 during another trawl of the 1966 cars. There are plenty of photographs of the car as raced by Jerry Hansen and of the car as it is today. 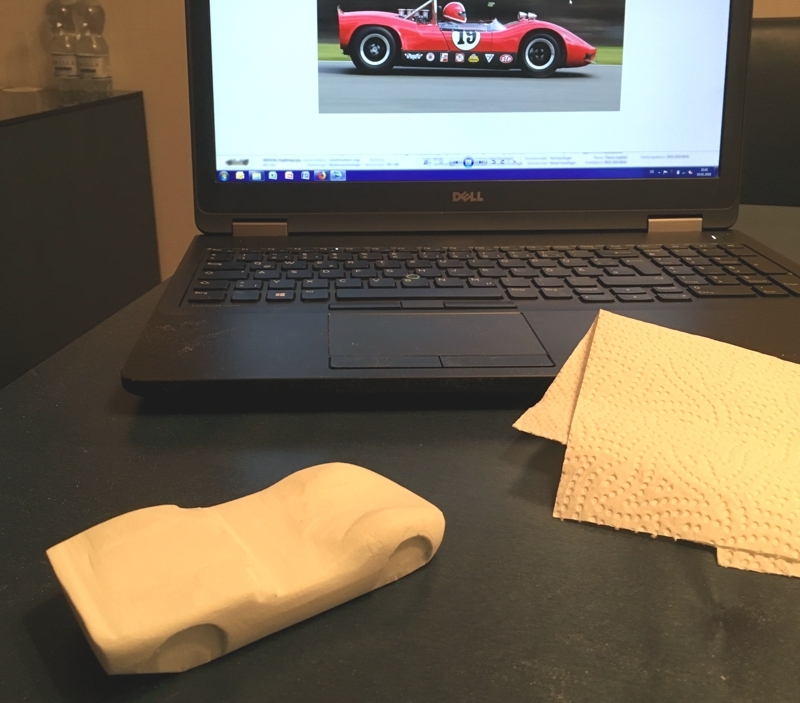 The wheelbase (2,350mm) and track dimensions(F 1,340mm, R 1,360mm) are available on Ultimate Car Page and there are a couple of photographs of some of the drawings from which I've worked out the likely width of the car. I can't prove it but I believe it to have been 1,728mm, or thereabouts, wide giving an overall 1/32 scale width of 54mm. Is that going to satisfy eligibility criteria, please? I don't want to start making drawings and carving if it doesn't. David, The Bizzarini scales down to 60mm wide, I can't see the wolverine being a problem. I was considering it myself, but please, do consider doing this one. I will try, really try, to get some final rules up in the next few days. Things have been very unsettled here. I'm on a business trip and wanted to use the tiime on the evening for something useful. 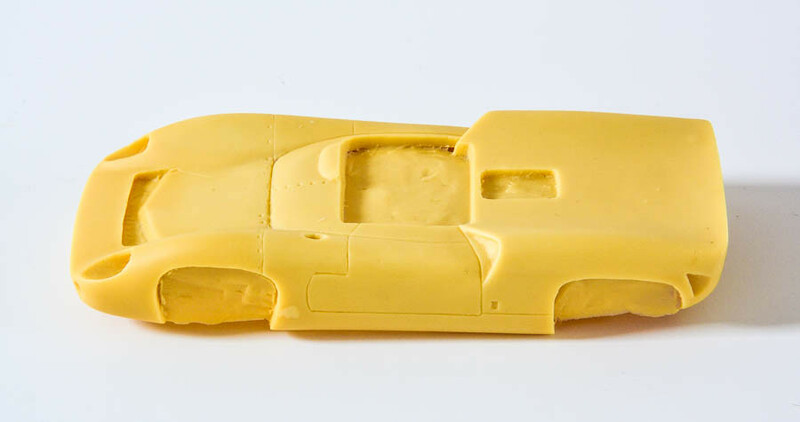 Just started to carve very roughly a McLaren M1B body from a piece of foam. Seems to be a pretty small car. In my opinion, the best looking of the Can-Am McLarens. An excellent choice. Seems to be a pretty small car. The two versions I have of it are smaller than some others. do you have already the first version of the proxy rules? Sorry gents, I still have not quite finished the rules. But I also have not set dates, so no worries. Some more work done on the chassis. decided not o make a sidewinder. it might be a little underpowered I sell have to wait and see when completed. OOP's forgot to attach the Body. Quite a lot yet to do. waiting on Decals. Can you add me to the list of entries please? One thing I would like to clarify is; what will be the maximum depth for the guide flags?